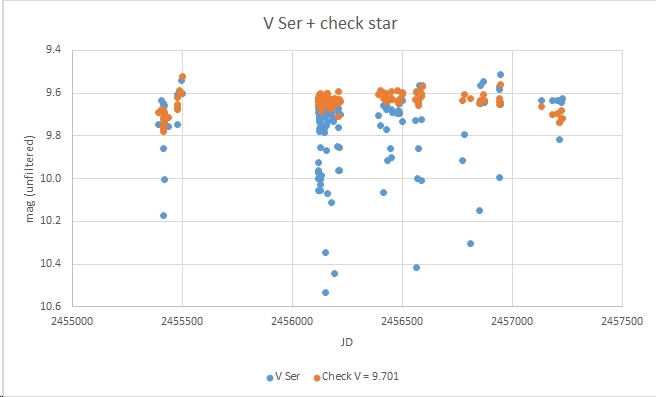 Light curve and phase diagram of the EA type variable V Serpentis / V Ser obtained from 135 unfiltered images taken with the Cluster Camera of the Bradford Robotic Telescope between 2010 July 12 and 2015 July 23. This star is in the field of my object star W Serpentis. 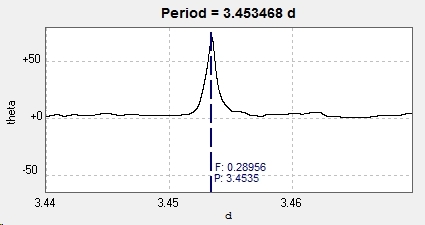 The deduced best fit period of 3.453466 days compares with the GCVS value of 3.453551 days and the AAVSO VSX value of 3.453550 days (data correct @ 2015 Dec 14).